The Sims 4 are available for a while now on PS4. 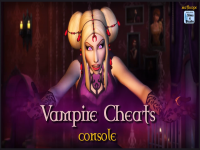 Adapted from the PC version, this console edition also allows you to activate all types of code cheats ! 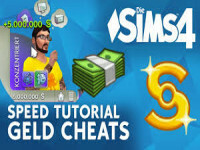 Want to become rich, to reset your Sim, to make hundreds of Sims appear around you on consoles ? You’ve come to the right place ! 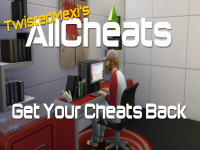 However, keep in mind that these cheating codes will disable all trophies and game success. 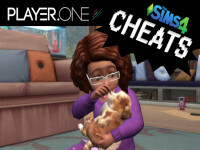 This means that you will have to start a whole new game again to be able to unlock the trophies and the success of the Sims 4 on PS4 after using these cheats codes. While in live mode (when your Sims are active), press L1, L2, R1 and R2 at the same time if you are on PS4 or LB, LT, RB and RT if you are on Xbox One. A new window will open if you have successfully executed the series of keys with a command line similar to the PC version of the game. Then type this « testingcheats true » in the window (without quotes). The console will be active and you will only have to type one of the codes in the list below to activate all sorts of cheats in your Sims 4 game on PS4. Allows you to add any amount of money to your Sim’s or your Sims family’s account. allows you to add points to make your sim happy. allows you to add 1000$ simsflouze to your Sim wallet. Allows you to add $50,000 directly to your Sims account. code to use on the MAP land to make any house free and movable. instantly unlocks all game items ! to automatically respond to all dialogs. allows you to subtract any amount from your sims. changes the age of your Sims. Allows you to reset a Sim completely if it seems stuck in its life. allows you to place game items where you want, ignoring the restrictions/limitations imposed by the game. allows you to have infinite consumables for your sims. directly completes the aspiration objective of your current Sim. involves the repairer in your home who will leave after the work is done. involves the servant who will do her job and leave. Will kill a sim in embaras . Will kill sim by angry. will kill a sim of exhaustion. turns the Sims death system on or off. true = on / false = off. Retrograde a sim in the selected career. Allows you to assign a promotion to a Sim’s career. removes all states of mind from your Sim. Your Sim will know everyone even dead sims. 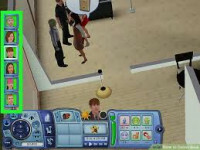 choose «on» or «off» to activate or deactivate the thought bubbles of your sims that appear above their head. allows you to change a sim in the create sim mode. Will kill a sim by electric.